However you celebrate Easter, or don't, I hope you have a wonderful time off this weekend. Come and see me tomorrow at 1215 Sawleaf in the new Skytt Mesa homes in Solvang priced at an affordable 745K. I'll be there from 1:00 to 4:00 on Saturday. We'll be back here on Monday with all the news! 3505 Montebello Street, Santa Ynez (3/3 on .25 of an acre) 739K Sharon: This is the leg of Montebello not off of Faraday like you might be thinking but instead on the little known section running off of Tyndall (Willow or Olive to Tyndall).. Very private. I remember this one back when it sold last in 2014. Very unusual, artsy, a bit whimsical in a good way, original, free and easy and in well maintained condition. Good energy abounds (yes, houses do have individual energy ... you just have to be open to feeling it). If you are looking for something that colors outside the lines but is comfy, cozy, memorable and definitely unique, I encourage you to see it. Not much around like this one. Nina: Santa Ynez home built in 1974 but with the vibe of a 20s California bungalow. Super charming. Nice close to town location. Listed by Carole Colone of Berkshire Hathaway. 221 Oster Sted, Solvang (3/2 on .21 of an acre) 715K Sharon: On my favorites list. Listed by Debbie Vollers of Village Properties. 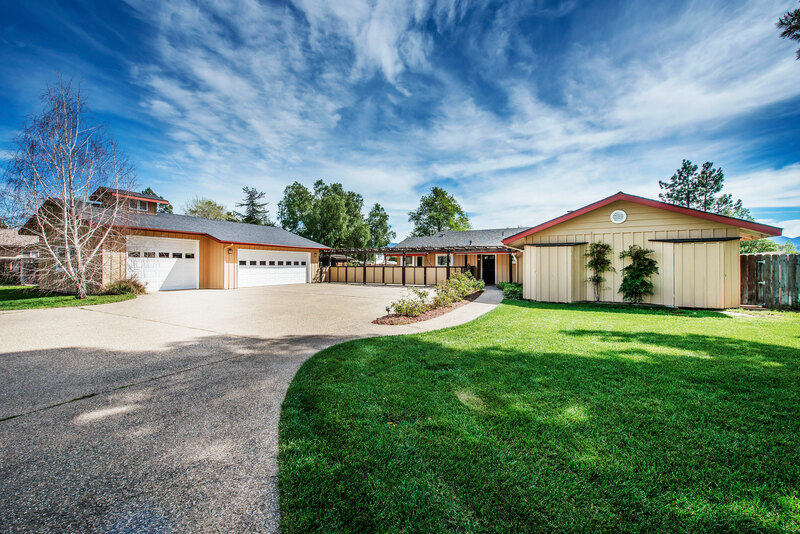 1415 Ribe Road, Solvang (4/3 on 10 acres) $1,449,000 Sharon: This is a bank owned property. Even rarer still at this price point. Listed by Sheila Siege and Debbie Rivera-Brosnan of California Property Group. 209 Willow Drive, Solvang (2/1 on .18 of an acre) Sharon: Listed at 650K and sold final for 635K with 238 days on market with an original price of 683K for about 93% of original price and about 98% of last list price.Nina: Solvang home with an artist’s retreat. Listed by Kris Johnson of Engel and Volkers. It's Thursday already. Can you believe that? Click here for your list of open houses in the valley this weekend. For those of you wanting to get into our value priced new listing on Sawleaf in Skytt Mesa, we will be holding that one open both Friday and Saturday of this week. Nina will be there Friday tomorrow from 12:00 to 2:00 and I'll be there Saturday from 1:00 to 4:00. Sunday will be somewhat quiet from an open house standpoint due to the Easter holiday. 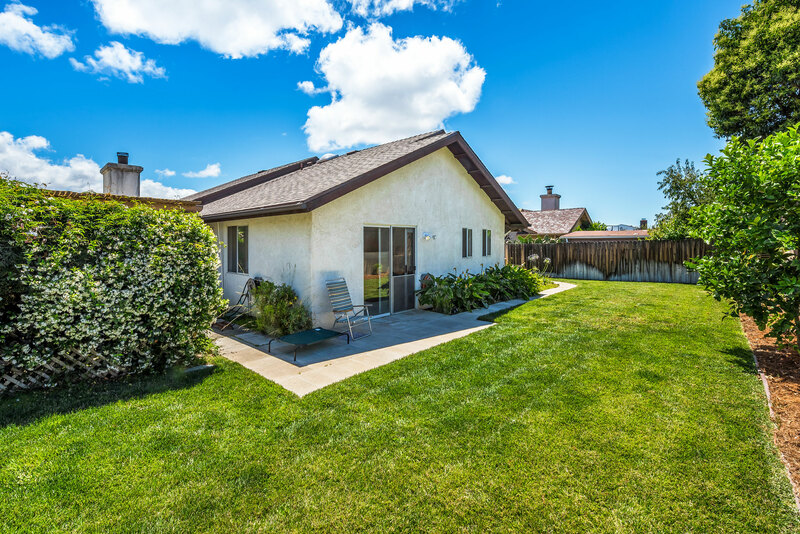 3490 Tivola Street, Santa Ynez (3/2 on .51 of an acre) 739K Sharon: This one is super cool because of the location. Sited on the edge of a creekside, its truly wonderful to be this close to nature with a lovely mature tree canopy for shade. Extremely well taken care of, this home will please even the pickiest buyer. Good floor plan too in over 1800 square feet. Sitting slightly below the road level for added privacy and proximity to natural flora and fauna. Cool landscaping too. 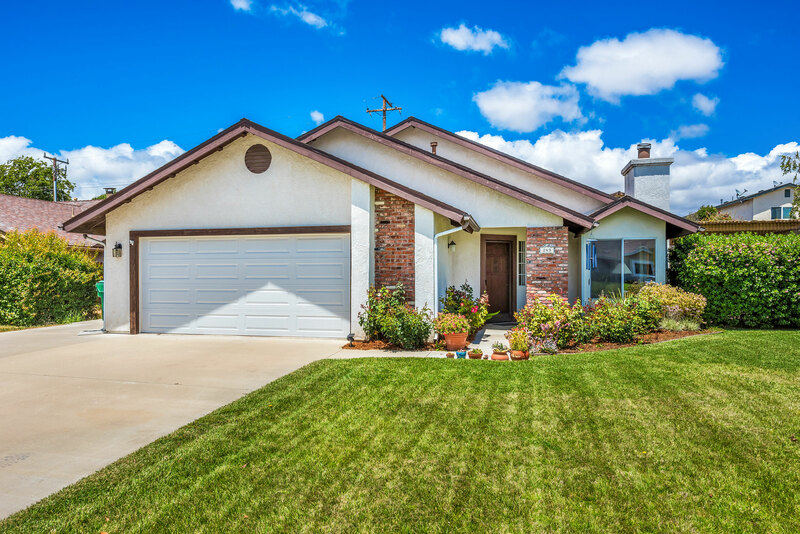 Nina: A cozy home on an oversized Santa Ynez lot priced to sell. I am very impressed with the sprawling, manicured gardens, mature trees and creek side setting. This will be an easy home for someone to settle into! Listed by Rhoda Johnson of Berkshire Hathaway. 1241 Hager Lane, Buellton (3/3 on 1.36 acres) $1,150,000 Sharon: These are the new homes just built in 2005. Nina:Quality construction on over an acre in Buellton with easy access to the 101. Nice option for those Goleta or Santa Barbara commuters! Listed by Connie Meynet of Village Properties. 1539 Mission Drive, Solvang (commercial building: $1,550,000) Nina: It's not often that a Solvang commercial building becomes available. This particular one has high visibility and neighbors the very busy breakfast spot, Paula's Pancakes, to up the foot traffic. The building is fully leased making it a good investment option. 3151 Fairlea Road, Santa Ynez (2/2 plus huge shop on 1+ acres) Sharon: Was 880K with a new price 925K.Listed by Sylvia Tyrrel of RPL. 3166 Horizon Drive, Santa Ynez (3/3 on .88 of an acre) Sharon: Was 935K with a new price of 915K. Listed by Jodi Williams of Coldwell Banker. 1777 Cottonwood Street, Ballard (2/2 on .28 of an acre) 699K Sharon: Went in multiple offer. Listed by Lynette Naour of Village Properties. 3640 Roblar Avenue, Santa Ynez (3/2 on 5 acres) 975K Sharon: Manufactured home on a permanent foundation with horse facilities. Apparently, in Australia, they take real estate marketing to a whole new level. Click here for a Youtube video. I especially like the part where he effortlessly jumps onto the kitchen counter top and back down again. This is a bit of walk on the wild side for sure! Still, its a pretty cool house! Click here for mid week rates from Guy Rivera at Guarantee Mortgage. 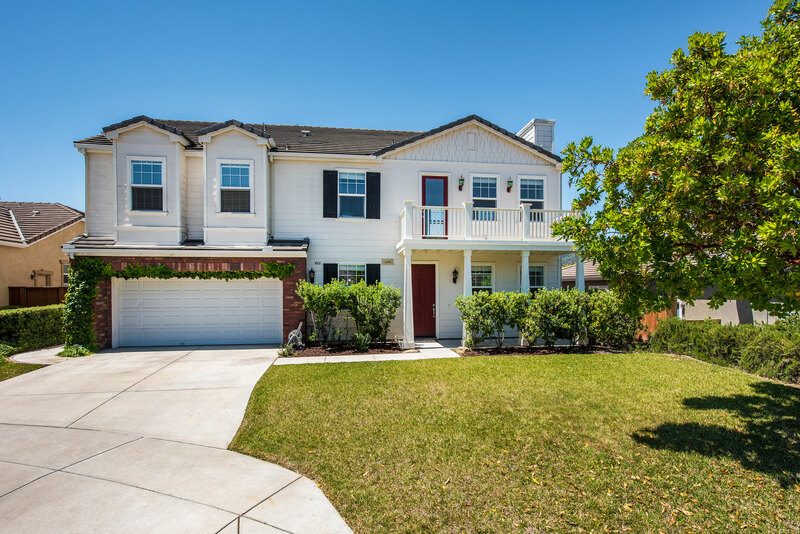 2391 Janin Place, Solvang (3/3 on 1 acre) Sharon: Was 879K with a new price of 849K. Listed by the GiGi's of SYV RE. 3336 Pine Street, Santa Ynez (.27 of an acre, land only) 225K Sharon: Pieced off from the property next door which just sold. Rare in town totally flat and usable buildable parcel. Nina: 93 days on the market. Vacant lot in Santa Ynez, just over 1/4 acre. The lot is fairly flat and usable and is close to schools and town. 234 Valley Dairy Road, Buellton (5/3 on .15 of an acre) Sharon: Listed at 715K and sold final for 690K. With 42 days on market, sold for 98% of asking. I was impressed with how well kept this home is. More bedroom and bath space than this plan usually provides which makes this floor plan really work. One of the better Meadowridge homes we have seen. Nina: Nice Valley Dairy location in Buellton close to the park and move-in ready. Listed by Christine Lash of Grand Ave RE. 3153 Riley Road, Solvang (3/2 on .84 of acre) Listed at 649K and sold final for 615K with 421 days on market. High price in January of 2018 was 749K. Sold for about 95% of last asking and about 82% of original price. Lease on this one, as per the public remarks, is $27,000 per year. Nina: Classic Alisal floor plan in a tucked away location. Listed by Susan Beckmann of Sotherbys. 1229 Coast Oak Drive, Solvang (3/2 on .28 of an acre) Sharon: Listed at 859K and sold final for same, 859K. I sold this one some years back. This home was built in the original phase of Skytt Mesa. Different builder, floor plans and amenities than the later phases. Nina: This property was only on the market for 9 days but I can understand why it went so quickly and for full price. The house has plenty of updates for this price, a nice detached garage and a well cared for yard. Listed by Dave Henrey of SYV RE.